If you prefer bold styling over bland, cutting edge audio and navigation over gutless four speaker systems, and class-leading 32-mpg highway fuel economy, Chevrolet has built a crossover utility vehicle for you. My white night was an extraordinary car named Chevrolet Equinox. 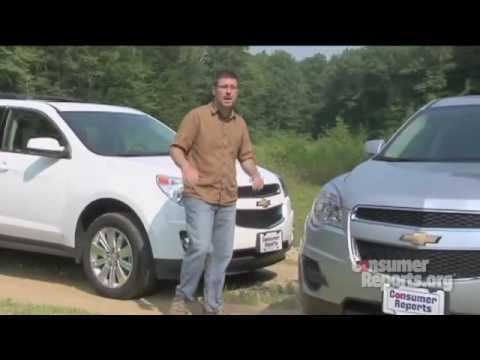 My husband purchased a 2011 Chevrolet Equinox lt a few years ago and what struck me was that it was a Chevrolet. I didn't see that coming at all but when I finally drove it I understood why. It was the smoothest ride I have ever had in a vehicle. The comfort I felt as I sat in the cushioned seat that enveloped me with ease. He bought the car for his Uber driving job that he signed up for as something to do after he retired. His riders constantly questioned the make, model and style of the car. (the seats warmed me up on those cold mornings in Kansas city). The acoustics were also in play because my husband would play jazz CD's while driving. This made the ride even smoother, and relaxing. He still owns this car and even after going over 100, 000 miles it still performs like a new car. I hope to acquire this car and get him another or just buy my own. The unfortunate down side to the car is that it burns a lot of oil, other than that it is the best car that I have driven. Minor issues but definitely a long-term trooper. My vehicle has has a couple of recalls, one of which required me to visit a couple of dealerships and ultimately have to call the manufacturer in order to get someone to even look at the issue. Otherwise I am mostly happy with the vehicle, with age, I am starting to see some wear in the leather console and this appears to happen with others who have the vehicle. It is reliable, roomy, the ability to move the rear seat back and forth has been a blessing in order to add additional cargo space for those just a little larger items. At 120K miles I am getting some puttering in eco mode that no one has been able to figure out but otherwise she rides great. It is great on the ice roads with the all wheel drive.